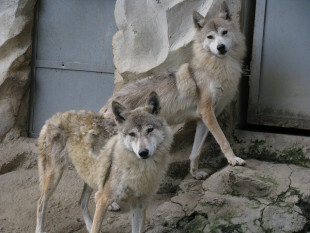 Increase conservation efforts to protect the Himalayan wolf from going extinct. Noted & signed! Thank you, Cal! signed too; Thank you Cal! Signed and noted. Thank you Cal. S & N & S! At least the United States find a mate who also puts at risk (although here is on purpose, with the released game and in some cases induced in several states). The Himalayan Wolf is among the endangered species by total Nepal government disinterest in creating a legislation that would allow the peaceful coexistence between the absurd amount of 350 wolves with the local population. This is not a region of small proportions, nor large population, it is just trying to create areas where wolves have not living with domestic animals região.Repetindo the farmers should not be a chore with the number of existing animals.